Previous meta-analyses, which have included only RCTs, have shown that operative treatment of acute Achilles tendon ruptures significantly reduces the risk of tendon re-rupture compared with nonoperative treatment. However, operative treatment leads to a significant increase in other complications such as infection, deep vein thrombosis, and sural nerve injury. With the addition of observational studies, resulting in substantially more data, our meta-analysis shows that re-rupture and complication rates are far lower than expected with surgery compared with previous meta-analyses, and differences between treatment groups appear to be small. These findings indicate that the benefits associated with operative treatment might not always exceed the harm and risk associated with surgical intervention. Therefore, nonoperative treatment may be an acceptable option for the management of acute Achilles tendon ruptures. Patients should be counselled about the benefits and risks of both treatment options and surgeons should know when not to operate. 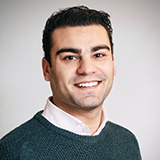 Yassine Ochen is a PhD candidate at the department of Surgery, University Medical Centre Utrecht, Utrecht, the Netherlands. He is currently a research fellow at the department of Orthopaedic Surgery, Harvard Medical School Orthopaedic Trauma Initiative, Massachusetts General Hospital, Boston, United States of America. 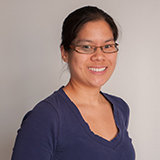 Marilyn Heng is Assistant Professor of Orthopaedic Surgery at the department of Orthopaedic Surgery, Harvard Medical School Orthopaedic Trauma Initiative, Massachusetts General Hospital, Boston, United States of America. 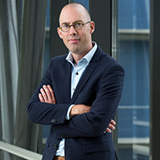 Rolf Groenwold is Professor of Clinical Epidemiology at the department of Clinical Epidemiology, Leiden University Medical Centre, Leiden, the Netherlands. 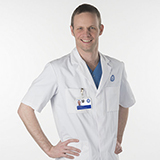 Marijn Houwert is a trauma surgeon at the department of Surgery, University Medical Centre Utrecht, Utrecht, the Netherlands. 1 Knowing when not to operate. BMJ 1999;318:A. 6 Black N. Why we need observational studies to evaluate the effectiveness of health care. BMJ 1996;312:1215–8.